Died: 18th July 1916; age 29; KiA. Date of Entry Therein: 5th July 1915 – France. Medals Awarded: Victory, British War & the 1915 Star. 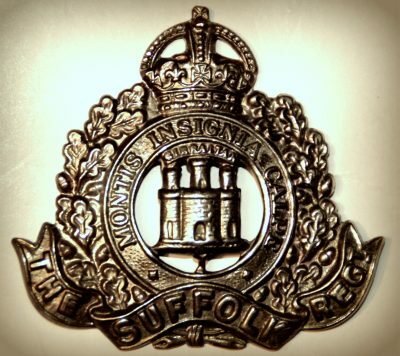 Relatives Notified and Address: Son of Frank Alfred and Ellen Mary Bales, of 812, Woodbridge Road, Ipswich. Frank Alfred Bales, 37, a Gun Manufacturer; born Ipswich, Suffolk. Ellen Mary Bales (nee Bennett), 23; born Ashfield, Suffolk. Frank was 13 years old and living with his parents & brother. Frank Bales, 47, a retired Gun Maker. Stanley Alfred Bales, 7, born Ipswich. 1911 6, Leonard’s Road, Far Cotton, Northamptonshire. Frank was 23 years old and a Portrait Photographer. He is a boarder at the home of Edward Goodman, a retired Engine Driver. 28th May 1913 Frank had an entry in the UK, Railway Employment Records. London & North Western. Frank Bales…Labourer 4 1/2 months…Demanded his money…20/. Character…good…Abilities good. Frank is also remembered on the war memorial at St. Margaret’s Church, Ipswich.